Delhi-based Video Q/A startup Frankly recently received seed funding of $600,000 from Matrix Partners. Founded by Ex-InnoxApps founder, Nikunj Jain and Ex-Zumbl founder, Abhishek Gupta, the startup plans to focus on the India for the next 15 to 18 months. Frankly allows users to connect with their favorite celebrities, and public figures including bollywood stars, cricketers, politicians, businessmen, TV actors, fashion designers or even social activists and ask them questions, to which they can reply back with video selfies. It is like meeting your idols and having a personal conversation through the app. Inc42: How did you come up with the idea? What’s the story behind Frankly? Nikunj: I am an extremely curious person, everytime I meet new people, especially weirdos and psychos, be it while travelling or at a party or wherever, I would try and have a piece of their brain and understand their perspective on whatever topic/idea they would have strong views about. In most of these cases people would either be too boring or too shy or introvert to continue an interesting conversation. That’s where the idea of creating a marketplace for open exchange of ideas, beautiful thoughts, experiences and essentially meaningful conversations originated. Inc42: What’s the idea & vision behind Frankly? Nikunj: On the surface, Frankly is a mobile app where people ask questions to public figures and celebrities who then answer them back in video selfies. The idea is to expand the horizon of conversations that people take part in throughout their lifetimes. We aim to do this by giving people access to front-runners, average Joes and even the backbenchers from different walks and forms of life. Essentially, Frankly is here to facilitate conversations that really matter but have never happened. Inc42: Where do you see it in 3 to 5 years from now? Nikunj: Haven’t thought that far, but definitely see it adding sincere value in the lives of people by reducing information/idea asymmetry through meaningful conversations among people from across the globe. Inc42: How difficult has the onboarding of celebs been so far to the app? Everybody has really liked the idea so far. Video selfies and Fan questions are an instant connect with them. Most social media managers are giving up on Facebook owing to its decreasing page reach. Celebrities are also realising that Twitter’s limitation of 140 characters significantly restricts any meaningful conversations. Also, India being largely a spoken country, text content is not a natural fit in tier 2 and tier 3 cities where the true potential of growth exists. Inc42: Any well known celebs on Frankly that we might know of? Nikunj: Some of the people who have already joined frankly include, Arvind Kejriwal, Kiran Bedi, Chef Vikas Khanna, Author Ravinedr singh, Singer Shafqat Amanat Ali, Singer Gurdas Maan, Composer Meet Brothers, Fashion Designer Bina Ramani, RJ Naved, RJ Sayema, Snapdeal Founder Kunal Bahl, Inmobi founder Naveen Tiwari, Matrix India MD- Avnish bajaj et al. Inc42: As mentioned in the TC coverage, how will Frankly have an impact on the upcoming Delhi elections? Nikunj: You will be extremely surprised to know that all the candidates of the Aam Aadmi Party for the Delhi Elections have already joined the app and are heavily promoting their profiles in their respective constituencies. Also, INC and BJP candidates are in the process of joining. We believe it will be for the first time in the history of this country that the electorate will be able to have direct conversations with their respective candidates. We have all seen presidential debates happen in the US, but this is at a completely unprecedented level. Lets say say you have a pressing concern regarding drainage in your area, you throw up your question to all the candidates from your constituency and vote for the one who gives you the best way to tackle it. Already all these candidates are getting dozens of questions regarding local problems and are then taking their time and then answering them with very very detailed solutions. Inc42: You are well known for your growth hacking skills. If you can, please share some of your growth hacks! Inc42: As an angel investor, what trends do you see in the industry? Nikunj: I think you have covered this very well in your last week article. Just that there has never been a better time to be one. 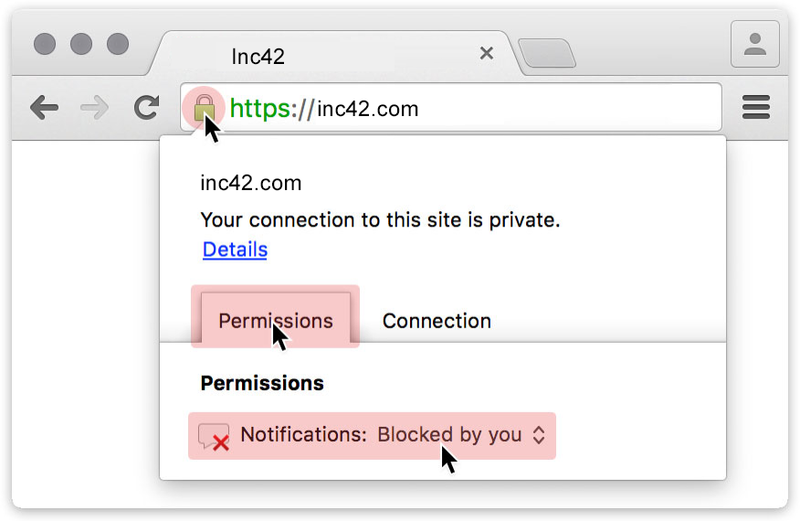 Inc42: What’s your take on VYou? What edge does Frankly have that VYou didn’t? Nikunj: We believe, we’re starting off from a less crowded market. eg. Reddit Ama doesn’t really exist in India. We believe we are at the right time a the right place, where mobile video is growing, internet speeds are improving, phones have usable front cameras. Also, we are starting off from where Vyou left off. Inc42: We heard an interesting story behind how you got your Cofounder and CTO on board? Care to shed some light on that? Nikunj: It is a hilarious conversation, essentially Abhishek, my cofounder, was raising funds for his startup Zumbl. He was asking for an exorbitantly high valuation and to add to that while we were talking I was checking out his app, and it didn’t really work so well. So, I joked about saying, “instead of putting money in your company, at the very same valuation I could buy a real brick and mortar 4 floor house in my colony with a parking.” The conversation ended on the note that if he could raise even half the amount he was seeking I would put in the remaining half. His then cofounder, ended up getting convinced that they did not want money from me, while during the course of the conversation, I was convinced that Abhishek understood human psychology better than anybody I had met in my life. Abhishek was later able to close a round of about INR 1 Cr. from the leading angels of the country, including me. Just before he was calling in the cheques, we met to discuss the future plans. While we were doing so, I was so impressed with his product and human behaviour understanding, that I offered him to close down Zumbl and join me. He surprisingly agreed, and in less than 5 minutes we had agreed on the numbers and next day he was coding from our office. Try Frankly App on Android or iOS. Why We Decided To Shut Frankly.me Just A Few Weeks After Raising Pre-Series A Round?